Fynd app loot refer your friends and you can earn upto 10000 Rs. And the best thing is that you can redeem all at once, which means that if you have 4000Rs refer and earn cash available in your wallet and you want to buy an item/product worth Rs 2000, you can buy that from the money you have earned for referring your friends. 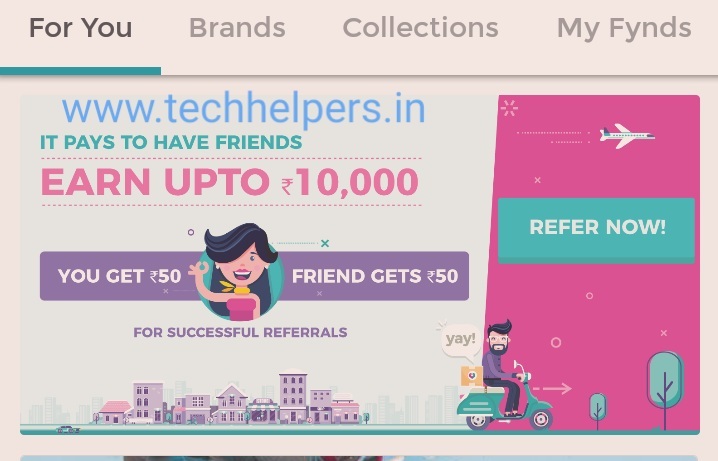 For each successful referral you will get Rs 50 and when your friend will enter your code, He will get Rs 250 and this is not the end of earning yet. If your friend,whom you have referred this app earlier will shop anything from the fynd app, you will get 10% of the amount of the order (it is the amount he pays from the credit/debit card not the the amount he pays from fynd earned money). So if he buys something from fynd for Rs. 10000, you will get 1000 Rs. Isn’t this an interesting app? If you don’t have so many friends then you can use this trick to earn unlimited fynd money and for this trick you don’t need to have your mobile phone rooted. So follow the steps. 2. Now signup and go to profile. 4. Put I9VCM2 in having referral code box to get Rs 50 more. 5. Note down your referral code. 6. Install parallel space app. 7. 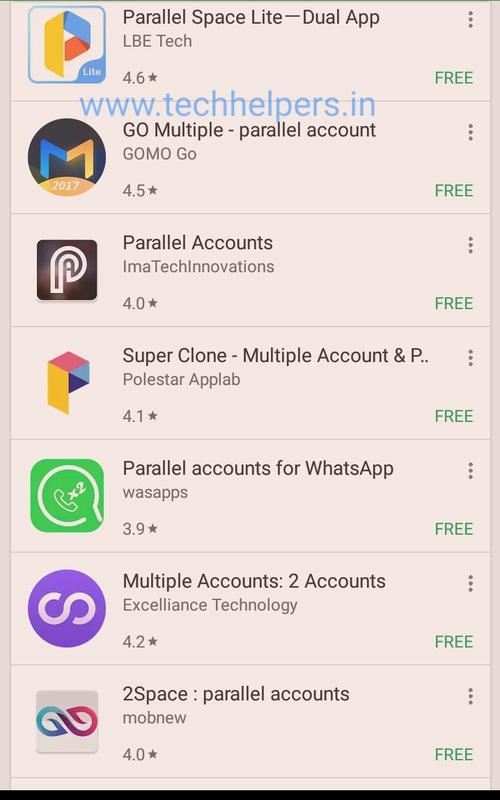 Clone fynd app by clicking on plus icon within the parallel space app. 8. Now signup again in this cloned app and put your own referral code and you will get Rs 50 in your main fynd account. 9. Now clear data of parallel space app and repeat the steps from 6-8. 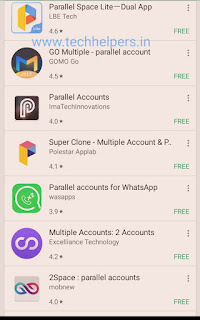 Unlimited fynd app loot method for rooted users. • install the fynd app and signup via your mobile number or fb profile. 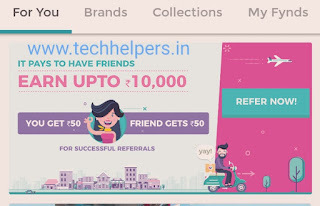 • Now go to profile and click on refer and earn, put I9VCM2 in having referral code to earn 50 Rs more. • Now remember your referral code which you will get from the same place. • Now clear data of the fynd app. • Now change your IMEI no. By IMEI changer app. • Change your mac address by mac changer. • Change your device ID by id changer pro app. • Now install the fynd app again and enter your own referral code. • Repeat the last four steps again and again. I am so not into apps of any kind, but good luck. If it works for you, go for it! I have not heard this App. I use very little of such tools. let me get some more feedback and then I can test waters. This is a different kind of app, seems like its productive in its work though. Think I'll do a little more research on it. This is an app that I have never heard of before. I will look into it more!! Thanks for sharing!! This is interesting for sure. I'm not much of a fan of these sorts of apps. But good for you. This is one I haven't heard of. While I only really use apps for listening to music or podcasts, I'm sure there a lot of others who really like this one. Good luck! I've never heard of this app before but I'll have to check it out! Thanks for sharing. Never heard of this app before, seems like a good concept. May try it out! I've not heard of this app before. It's great that you've found a work around for the friend referral scheme. I dont heard about this app before but I will check it out later ! I haven't heard of this app before. Is it available to use with other currencies? Sounds interesting though. My phone died so I have been without my apps for a while. I will have to check this out once I get a new phone.